VisualVault gives you the ability to design document & records management systems that utilise the advantages of business process automation systems. It is a single solution for integrating your document management, records management and business workflow. What sets VisualVault apart is that is must be configured for each application. At first this may sound difficult, but what it really means is that it will always meet your business requirements. There's no longer any need to change the way you work just because a software system won't adapt to your needs. We've talked about building custom cloud based applications and services in previous posts, so let's look at how we commonly implement the design process using VisualVault. Let's work backwards! First we need to identify the information you need to ensure a chosen business requirement is being met. Outputs are the reports and charts you want to see when logging into the system. We're looking for the key information that will tell you if your business is operating the way you need it to. What information do you want to report on? What insight does this data provide and is it actually useful? What supporting data and level of detail (granularity) does your reporting require? Now that we've found what data we want out, lets focus on what we need to put into to the system. The kind of information you supply to a system is largely dependant on the Outputs, i.e. is the system merely managing documents, business processes or both. Focus on useful information - rubbish in equals rubbish out. What fields or data are required to achieve reporting outputs? Is there data that is required to support the key data? Is it really needed and is it useful? Do you need to upload documents and files as part of the data input? Now let's connect the dots between your inputs and outputs. This final stage is about the business rules and workflow that affect where, what and who enters data during the business process life cycle. A system like VisualVault allows data to be captured from multiple sources. This includes other systems through API calls - a form of communication that allows separate systems to share data via the Internet. Who or what will be uploading data? 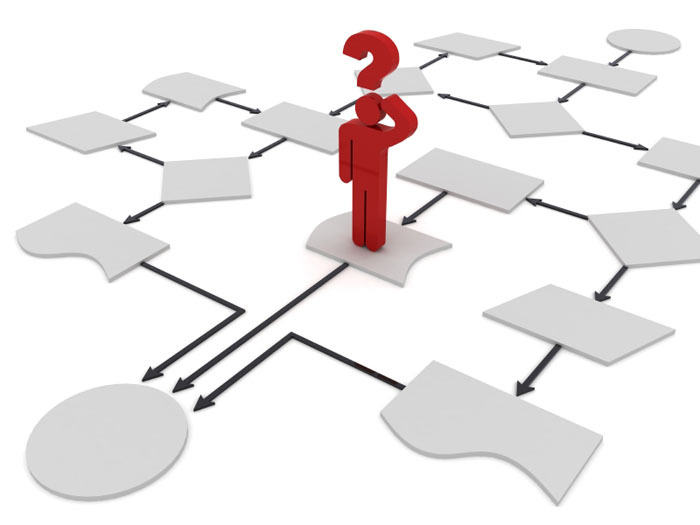 What are the business workflow steps relating the information? Are the steps serial, parallel or approval? Implementing business process automation is a continual cycle of implementation and improvement. It's OK to get it a little wrong on first implementation. Businesses are constantly growing and changing so your processes are going to have to change at times as well. It is important to keep this in mind and ensure any solution is scalable in future. The electronic document storage solutions available to you through VisualVault provide enterprise level features for all users. Using a document library interface that most people are familiar with allows VisualVault users to set document capture and life cycle workflow. Check out the following video to see how easy it is to set up and utilise the VisualVault document library. Setting up a business system from scratch is a daunting task if you haven't done it before (even when using a friendly tool like VisualVault). And, because you're likely too busy working on your business, why not get some help? We've built VisualVault powered business solutions for some of Australia's largest companies. Take advantage of our experience, fill out our Contact Form and move towards efficient and traceable business operations. Business Process Improvement (BPI) is all about devising better ways to improve your Business Process Management (BPM). It focuses on analysing business operations & tasks to see how they can be improved, changed or automated over time. In this article, I'll cover some of the ideas outlined in the standard ISO 9001 Quality Management Systems. This document provides guidelines for managing Quality related business processes and outlines best-practices for achieving business efficiency. I'll highlight key points which may be used to improve the Quality aspects of Business Process Management strategies used in your business. "Quality Management is a Solution-Driven Methodology"
But, what does this mean? Business Process Improvement strategies applied to Quality Management should focus on the outcomes of your company rather than improvement of existing tasks. This is done by identifying problem areas, analysing the tasks involved and employing procedures that help support business. Outcomes-based - eradicate unnecessary steps! If you're doing BPI right, you should already be constantly revising your processes to ensure your business is running seamlessly and at full capacity. A successful Quality Management System ensures both customer and business requirements are met. 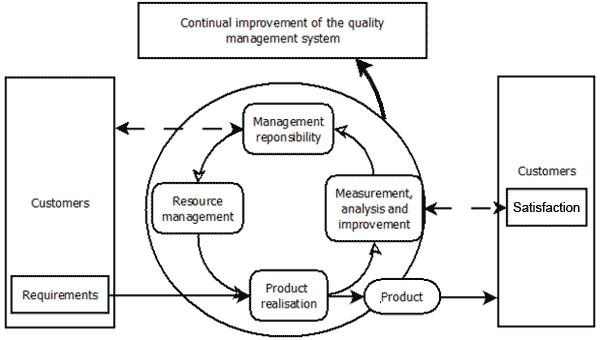 The image below provides an example from ISO 9001 of how the process of ensuring quality is an ongoing cycle. These indicators tell us that, if we successfully improve our Quality Management, it will have a direct impact on overall business performance. 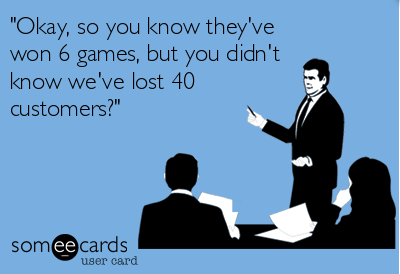 Your business outcomes are what you should be concerned with, not just the processes. This requires a more holistic approach that takes into account the main outputs outlined above and the activities that support these outcomes; Product Realisation, Measurement and Resource Management. Managing and controlling the activities linked to operational performance is how we best achieve this superiority. 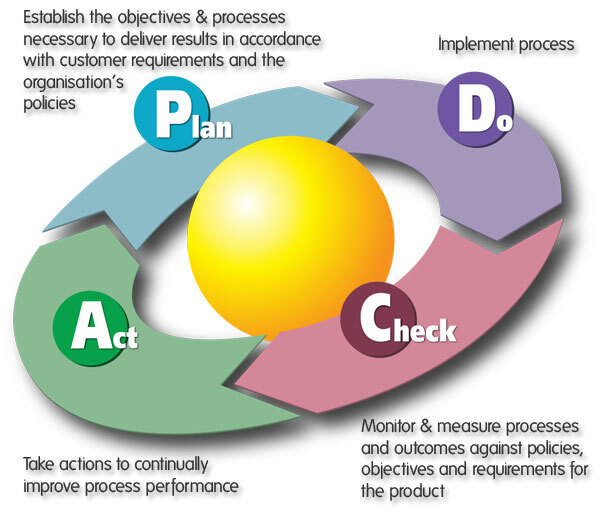 When implementing new processes or process improvements, ISO 9001 recommends using the methodology known as Plan-Do-Check-Act (PDCA). PDCA is ongoing, requiring good documentation and record-keeping for accountability. As I've already mentioned, the expected output from Quality Management System implementation is an improvement in productivity and output. It's therefore important to take note when no improvement is observed or measured, and follow this up when the PDCA cycle starts again. With the increasing demand for fast, efficient, cost-effective business operations, Quality Management Systems provide a system for businesses to be competitive. The ISO 9001 standard isn't the complete solution for all business activities, but hopefully you can see why it is worth considering when you're next looking at ways to improve your business. Disclaimer Standards are regularly changed and updated. While this article is up to date at the time of writing, it may not describe the standard accurately in future. Be sure to refer to the most recent version of any standard when attempting to gauge compliance. Not sure what a Business Process is? To understand why you would want to automate Business Processes, it is useful to understand what the components of a Business Process are. Business Processes are commonly considered as a collection of related tasks and activities, that either provide a product or service to a client, or contribute to the overall management of the company. This methodology applies to most industries, including manufacturing, Health, IT and business services; each with unique business rules governing how tasks are performed or dictating expected outcomes. The methods of automating processes differs greatly between industries and may include the use of industrial robots for automating manufacturing tasks or using software (Enterprise Resource Planning ERP, Customer Relationship Management CRM, etc.) for automating information management. The workflow of structured tasks & business activities that produce an output will either consist of manual tasks, requiring a person to do the work, or tasks which can be automated and completed by a computer or robot. Many tasks in daily business activities that involve data processing and working with electronic information can be easily automated. An example would be to include automatic email notifications when digital documents have been uploaded to an EDRMS and require review by management. 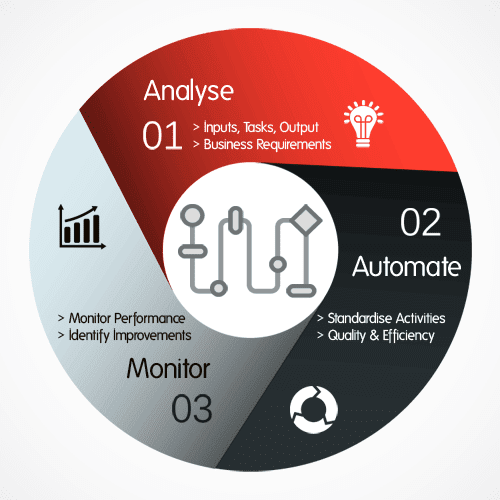 Automating tasks provides a number of benefits to companies in the form of improved quality, reduced costs and standardising of company operations. Automating workflow communication is a simple place to start for tasks that do not require manual interaction. For example, these may include automatic notifications once a supplier has submitted an invoice into your system, or a notification to accounts payable that the invoice has been approved by management. Simple automated notifications using set templates standardise communication and avoid the time required by employees to send manual communications. Task reminders and automatic escalations are another way to make sure work tasks are being completed. While you can’t guarantee an employee will do the work, you can be safe knowing an automated system will continue to remind them until it’s done. Automating tasks has been a common way to achieve higher quality through the avoidance of human error. A higher quality operation will increase efficiency as less defects or errors need to be repaired, providing additional time & cost benefits. Manufacturing industries have implemented automated systems through use of robotics for many years to achieve increased quality. Automated quality systems are a key factor that allows manufacturers to remain cost effective and competitive in the modern economy. You can also apply this methodology to modern day-to-day business activities to achieve similar improvements in quality management, efficiency and cost effectiveness. The subject of Business Process Optimisation and Business Process Management can become a long and complex task. While it is ideal to get your processes structured correctly first time around, this will often not be the case, and continual monitoring of workflow will assist in improved performance. It is important to continually monitor business process systems to identify bottlenecks, redundant tasks or any other issues with implemented business processes. Once issues have been identified, you can implement strategies to improve workflow performance like increasing resources to avoid bottlenecks and removing redundant tasks from your automated system. To improve quality, be cost effective and remain competitive, business needs to look towards automation. With recent advances in Cloud-Computing and web-based business tools, automating your business has never been more accessible. To gain these benefits for your company you should start by planning and analysing your current company operations. 1. Identify Products, Services or management requirements that you provide or need. Do these items have several inputs and tasks? What are they? 2. Analyse the workflow, what can be automated or completed electronically? Are multiple communication paths required? What type of communication is required? What information is being shared between people and tasks? Is information managed by Paper, spreadsheet or database? Identify a suitable Business Process Management BPM package and automate tasks. Does your company utilise a formal system for managing business data? If so, do you follow guidelines and standards to maintain your data in an efficient manner? Understanding, interpreting and identifying relevant standards relating to the management of data (both paper and electronic) can be a laborious task! In this article, we've put together an outline of useful information found in the ISO 15489 standard; focussing on the recommended framework for designing a document management system. From this article, you should be able to identify whether your cloud-based data storage system (or offline paper system) is up to scratch and meeting international standards! Standards are regularly changed and updated. While this article is up to date at the time of writing, it may not describe the standard accurately in future. Be sure to refer to the most recent version of any standard when attempting to gauge compliance. Utilising a formal system of documents and records management in your business model is critical. Records & information management systems aim to provide fast and efficient access to business information, operations and processes. The time it takes staff and stakeholders to access information is directly related to overall productivity in your company. Management systems will also provide you with information on key performance indicators and may be used to identify faults or shortfalls within your business activities.Any business that has achieved an efficient system for managing data utilises proper records management policies. ISO 15489 provides a framework for developing records management systems. While our focus is on eDRMS (Electronic Documents and Records Management Systems), the guideline will also apply to paper document management. The standards’ step-by-step procedure and best practices for designing and implementing record management systems provides you with a solid groundwork for achieving your business records management goals. 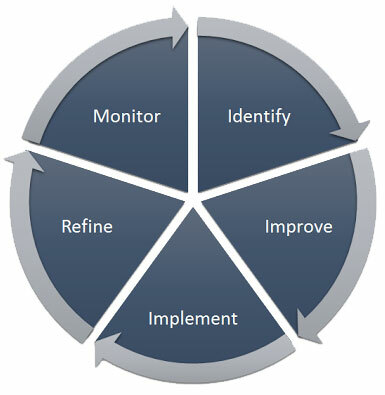 The suggested framework for designing a records management system consists of eight distinct phases. Lets run through each of the steps as outlined by the AS-ISO 15489.2: Information and documentation - Records management - Part 2: Guidelines. In this phase, your business strengths and weaknesses are analysed to determine the scope of requirements for a new records management project. Scale of required works, number of documents, size of documents, etc. Before a records system can be integrated with existing business operations, an analysis of current business activities and processes needs to be carried out. By looking at how records affect the day-to-day activities of your business, subsequent decisions about how records need to be created, captured and stored can be made. Analysing business processes will assist you with identifying how records should be properly managed and indexed for a specific business context. Once you have an understanding of the conceptual business model for your records management system, you can begin to gather requirements for record-keeping best practices. The storage structure, information maintained and appropriate storage method should be clearly identified in this phase. Your existing records management system should be thoroughly assessed before implementing any new system. During this phase, examine what additional work will be needed to to integrate or replace current systems and achieve your the desired outcomes. To assess your existing system, simply cross-check the system’s current capabilities with the requirements that were identified in Phase 3. The assessment of the phase 3 requirements should identify if there are any gaps between what is already in place, and what has been proposed in the previous phases. Keep a list of these gaps and issues for the next phase! Your business activities, organisational structure, technological capabilities, corporate culture and current records management systems all play a part in the formation and selection of future records management strategies. Policies, procedures, company standards, system components or different system implementations all constitute appropriate strategies that should be considered in this phase. Well developed policies and procedures will provide you with a blueprint for the new management systems. They will address the current systems gaps and include the system requirements identified in previous phases. Once strategies and requirements have been established, you may begin system design. A great deal of discussion with end users of the system and the system manager's needs to take place in order to ensure a proposed solution will meet all stakeholder needs. During this phase, you should look at producing a project plan, including some or all of the following elements. The size and complexity of the proposed project will obviously dictate the level of detail required from the following elements. Detailed specifications to build or acquire technological components such as software, hardware, IaaS and SaaS services. Once the project plan has been developed in Phase 6, you may begin a roll out of the proposed solution. The exact steps required for implementing the solution should be carried out as in accordance with the scope of the project as determined in the previous phase. The integration of a new system with existing business processes and activities should be achieved with minimal disruption, and can be completed successfully using your careful planning which you conducted in phase 6. Thorough system documentation, including policies and procedures developed in phase 5 should be produced. These documents provide users with reliable training information about the new system and will help to ensure business compliance standards are followed. After implementation, the newly deployed system’s performance and capabilities should be analysed. It is important to ensure full system functionality is being met and any underlying faults are identified. Identifying faults within a new system will allow you to choose an appropriate course of action to ensure your system provides an efficient method of managing data with sufficient return on your investment. The post-implementation review will provide you with one of three potential outcomes depending on the system's performance; each outcome will in turn will require some type of action. Designing and implementing a records management system can be a daunting task depending on the size and complexity of your business. Successful implementation requires careful planning and analysis to ensure potential solutions align with business requirements and provide a sufficient level of accountability and traceability of records. AS\ISO 15489 provides a framework for achieving the successful implementation of a records management project and will assist you in deciding whether this is achieved through a change of policy and procedure, or the implementation of an entirely new system. Cloud-based solutions often provide a simple way of adopting a records management system. Take care when selecting your new records management solution as many available options may not meet all of your business requirements! Common Out of the Box (OOTB) software solutions will require you to change your business practices to suit. If this is not part of your business requirements, you may benefit from looking towards custom design cloud-based solutions. Cloud computing and Business Process as a Service (BPaaS) allows many different styles of business with varying products and services to gain benefits through leveraging off the power of cloud systems. 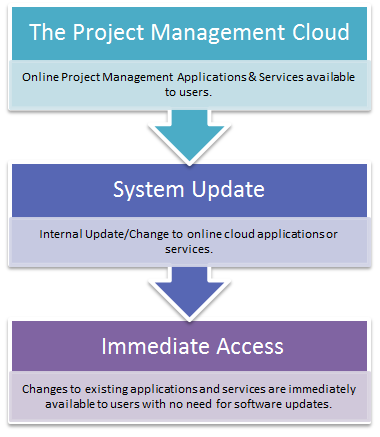 Companies that operate based on delivering projects are discovering that project management and project information management systems available through a cloud platform offer many unique benefits not available in conventional project management software platforms. Project management centric businesses often have complex and well established tools that contain standard project methodologies and approaches that managers need to initiate and manage projects through their life cycles. Migrating these processes into the cloud allows for a more flexible approach by managers by increasing accessibility to updated data, viewable in real time. 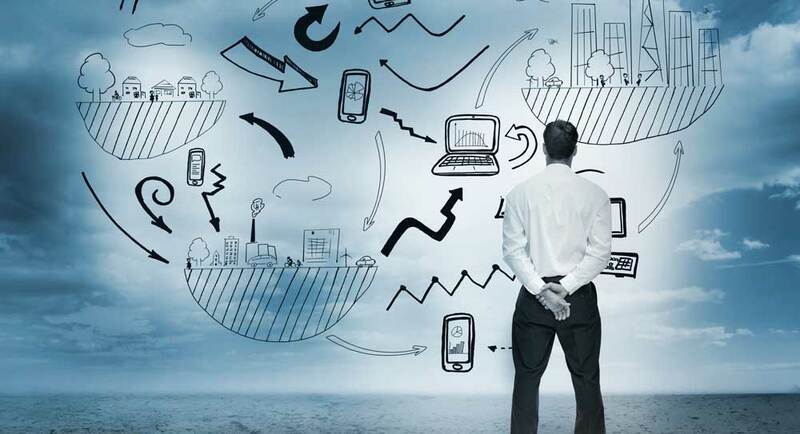 Specialist cloud providers also cater for standardisation throughout the cloud system by tailoring business specific tools to meet the needs of individual companies and project managers – cloud applications and processes available through a web browser are customisable and may replace the current IT project management tools and broader less targeted project management software applications currently available. The centralised approach of storing applications and data allows for updates and additions to the project management system to be rolled out immediately, to all project team members, at any geographical location and without the need for disruption by IT departments during software upgrades, hardware upgrades, patches, etc. Although most BPaaS project related processes can be streamlined to minimise user error, the ability to access live project data and documentation increases the need for a deeper understanding of methodologies and best practice required by the members of a project team; this may include document naming standards to facilitate ease in locating files and knowing where to store data to comply with company data security standards. Having access to real time data available to web enabled devices can drastically change the way companies operate and communicate with contractors, suppliers and stakeholders. It is therefore important to keep in mind how these users view your project information as it may be possible for external stakeholders to be given false indications of a project status due to temporary and recoverable errors. For example, the status of a project stage being accidentally flagged as behind schedule, when in fact it is on schedule. A simple enough issue to fix, but due to the instantaneous updating within the cloud, workflow processes may be triggered notifying stakeholders of a non-existent issue. Through careful planning and integration, you will be able to make the most of the clouds benefits while minimising operational risks. It is important to find a cloud provider that has the experience offering a suitably customisable software platform and ability to understand your business project management needs. Granting access to key project information (like progress against project plan, earned value, benefits realised, planned activities, etc.) for external stakeholders may grant significant reporting advantages for senior leadership teams and key stakeholders. This means users outside the core project team have greater power when it comes to the examination of project data expediting decision making. Automated workflow processes can be leveraged to allow further decision making powers when it comes to authorising new documents, CAD data revisions or approving work orders, SOW’s, etc. Project Managers may approve and reject requests singularly, or even in collaboration with other designated approval parties. If one user rejects a newly uploaded CAD drawing for example, a notification can be sent to the supplier letting them know that they need to submit a new draft with details as to why the new revision was rejected and by whom. Automatic notifications minimise communication error by standardising the email correspondence users receive throughout the various steps of a workflow process. Until recently SMB were unable to take advantage of current Project Management software packages that only large companies could afford to operate. The costs and scalability associated with cloud computing now offers opportunities for small and medium sized businesses to take advantage of enterprise level software. You can read more about this and other benefits of cloud computing here. The fact that key data and applications are available via a web browser means in certain situations (on site perhaps), a tablet PC is equally if not more suitable than a PC or Laptop - leading to further IT and training cost reductions. Project management documents, project plans, requests for information, reports and data dashboards are a few of the tools available for managers to access and update from any location with Internet capability. The key benefits for managing projects via cloud computing stems from the ability for businesses to manage and update a standardised centralised project system based on company methodologies while leveraging the many other cloud computing benefits. Massive scalability, reduced need to build and maintain applications, data and infrastructure all help to lower IT costs. Business Process as a Service (BPaaS) employs the cloud computing service model to outsource Business Process Management (BPM) dependent on related cloud services; these include Software as a Service (SaaS), Platform as a Service (PaaS) and Infrastructure as a Service (IaaS). Traditional BPM Systems (BPMS) which run business processes and track active instances of these processes. A BPMS automates the workflow of a business process step by step and provides reporting on the status of a process instance giving details on whether it is completed or stalled. In the case of a stalled process, BPMS shows which step a process has stalled on; allowing companies to be proactive in their approach to optimising their processes and resolving workflow steps that may continually stall. BPaaS on the other hand is simply Business Processes uploaded to a cloud service that performs the tasks and allows for monitoring and reporting on the workflow status of active and completed tasks. The added advantages of BPaaS over traditional BPMS are what set it apart. A business process as a service example of outsourcing services available with the BPaaS model include payroll, procurement, tender and industry operation processes. The aim of BPaaS is to reduce labor costs through an increase in automation of business processes and adheres to the usual cost structures typical of cloud computing - ‘pay as you go’. Automating business processes is not a new concept and has been achieved in the past either manually or programmatically often incurring costly modifications to existing ERP, CRM or other business logic software packages. With the advent of Cloud services, this approach is changing as companies look for applications, which can be used with existing business processes and comply with business policy. The flexible nature of cloud applications allows them to be used in many areas of a business; as they are not tied down to predefined processes like many business logic software packages. The advantage of this is the ability to have a consistent process application used across the company that allows for the management of complex business processes that need to be linked with various services which may include SaaS, IaaS remote data storage as well as data centre applications. BPaaS differs from traditional business logic software packages as it is specifically designed-oriented towards delivering services. BPaaS therefore will tend to have well-defined application interfaces that are useable by many different businesses and offer a consistent, automated and repeatable service assisting in the standardisation of business processes. BPaaS utilises all three foundational cloud services; SaaS, PaaS and IaaS. ‘Pay as you go’ pricing model – avoid the cost of expensive server infrastructure and software licences. Scalability; like all cloud services, not having to worry about the IT costs of upgrading software and server infrastructure means you can massively scale your operations up or down to match your business size. This means a service that manages a few operations having the capacity to manage hundreds (even thousands!). A BPaaS service is versatile and configured based on the process it is designed for. BPaaS services must be easily integrated with related services through an easy to use application user interface (API). Increased mobility and geographical expandability. Interested in integrating your processes with BPaaS cloud services? Automation Technologies offers highly flexible solutions through the VisualVault platform. Contact Us today for a free consultation – We have the solutions for assisting you in optimising your business process management. Cloud Security – Who’s in Control of your Cloud? A common issue where Cloud Computing is concerned the security of private cloud, hybrid cloud and public cloud systems; who can access what information and where they can gain access to this data. Public clouds, for example, pose multiple risks to privacy and confidentiality as data is potentially available to anyone – generally this is not the case for secure cloud systems adopted by business. The question then for secure clouds: how is security implemented and who is managing it? Do you leave it in the hands of your Cloud service provider and IT Department, or do you up-skill staff to look after this critical job? Depending on the platform you use and security structures needed by your organisation, this can be relatively simple or exceedingly complicated. This year the Ponemon Institute was commissioned to survey IT security practitioners to identify how people felt cloud security had progressed over recent years. They found that the general consensus was that while overall security had improved, there were still doubts that needed to be addressed with a balanced opinion on whether security concerns have either stopped or slowed cloud adoption, or have had no effect. There were mixed opinions as to who was responsible for SaaS (Software as a Service) application security with a share of responsibility falling on the cloud and SaaS developers, Cloud Computing Providers, Company IT and End Users. 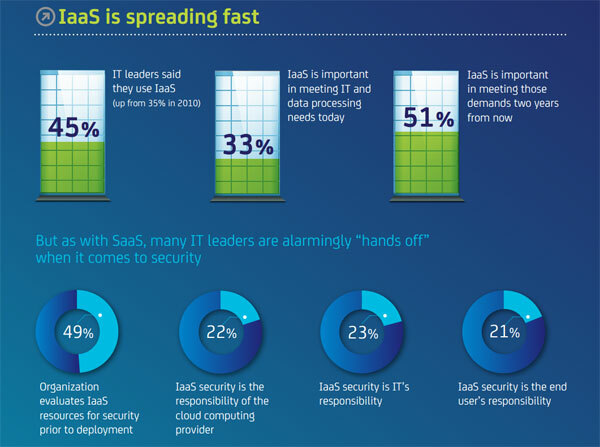 Similarly to SaaS, there were mixed opinions as to who should be in charge of security of IaaS (Infrastructure as a Service) which was found to be increasing in demand, with half of those surveyed believing IaaS will continue to be important in meeting future IT and data processing demands. Assuming that the cloud platform and data centres the information is stored within are secure, emphasis on security then relies on the needs of individual businesses. Evaluating IaaS resources before implementation goes a long way to pinning down and identifying who is going to be responsible for the security of your data. Each option between providers, IT and end users has advantages and disadvantages. For example, allowing end users to manage security options over data they work with avoids possible costs by your Cloud Service Provider yet may lead to security breaches if the end user is not trained sufficiently. In the case of a smaller company, making the time to manage additional tasks may be unrealistic, in which case, allowing your service provider to maintain security may be the better option. Automation Technologies goes a long way to provide suitable PCI DSS level security options for all business types using our ISO9001:2000, ISO13485, ISO14000 and FDA 21 CFR 11 compliant platform, VisualVault. The first step is identifying the security needs in your business then creating a security structure that most suits the way your company operates and available resources. With the ever increasing popularity of cloud computing implementation within business, it is good to know why companies are choosing to move to this platform for storing their company data using online electronic document and data management systems - eDRMS. Using a Cloud Service Provider takes a lot of strain off business as the need for IT Staff and IT Infrastructure is drastically reduced. As information is uploaded to a web-based cloud system, your Cloud Service Provider maintains data, backups and Technology Infrastructure. This approach also allows your business the flexibility to easily scale up or down operation and storage requirements as cloud systems are generally ‘pay as you go’ – there is no need to purchase and install hardware upgrades as your Cloud Service Providers takes care of this for you. Using a web-based cloud system gives you access to company data anywhere, any time. This facilitates more flexible work practices for company employees by allowing access to files from home, while on holiday and even during the morning and afternoon commutes. An employee with a cold or flu can stay at home, continue to contribute and avoid making your other employees sick! Having your company data backed up and stored in a secure location is integral in minimising losses in productivity due to power failure, fire, natural disasters or any other crisis that may occur. The ability to easily resume operations using your safely stored data will greatly minimise downtime. Cloud environments give companies the power to not only share documents, but more importantly, choose which documents they wish to share and with whom to share this information with. If you work on projects involving several parties, cloud computing gives you the power to share the same files with employees, suppliers and third parties while restricting access to private company information. Allowing third parties to upload files to your cloud also means all parties involved may increase their collaboration efficiency. Clouds give small and medium sized business access to the kind of technologies big business use without the associated price tags; it allows smaller companies the ability to act faster than larger competitors as ease of scalability is increased and the costs and time involved decreased. Cloud systems are generally easy to use; this in turn reduces training and further increases productivity. Many systems are highly customisable with any modifications you require handled by your Cloud Service Provider. Transferring your business information is straightforward and requires no new hardware or software installation – all you need is a web browser and internet connection. Systems like VisualVault also incorporate workflow processes, you can use workflow to further simplify your business processes and procedures by allowing the system to automatically notify users of certain events, for example; an automated Email notifying management that a new company report has just been uploaded and requires reviewing before it may be accessed by users within the cloud. These are just a few of the benefits Cloud Computing offers; systems like VisualVault take this even further with the inclusion of electronic forms and databases which gives your business even more flexibility and choice with how you wish to operate. Delta Diesel have a large maintenance portfolio of mechanical equipment throughout NSW. A typical contract with a customer will have a contract duration (e.g. 1 year ), in which they will be required to conduct a monthly service on that customers mechanical equipment. They also conduct ad-hoc services on equipment in the case of failure. Whilst Delta previously had an maintenance management system, it had many shortfalls, including not providing them with the level of flexibility they needed for optimal efficiency and lack of off-site access. This led them to the implementation of an alternative information management solution. The inability to customise the system to suit their business’ needs. The maintenance scheduler did not give them the level of forward planning required for optimal efficiency. Work orders months in advance could not be accurately planned. The system did not cater for customising fields, workflow or any other aspects of the system. The inconvenience of requiring software installation. The added infrastructure, administration requirements and nuisances involved in maintaining software on premise was impacting Delta Diesels core operation. The inability to incorporate mobile and tablet based maintenance management. Delta foresaw the benefit of having a mobile workforce, with mobile devices allowing for real time management and tracking of job completion. Their current software supplier did not have a mobile based version to suit their needs. The primary requirement of the new maintenance management system was the ability to mould to the requirements of Delta. Of particular importance was the ability to generate all work orders upon creation of the maintenance template (for example, a monthly maintenance that has a contract duration of 12 months will create 12 work orders). This, in turn, would then provide the ability to modify respective work orders providing instructions to their technicians specific to that months job. Delta also saw this project as an opportunity to procure a system that would be flexible enough to cater to their evolving business needs, including customising fields and automating workflow. This led to the requirement of the system providing flexibility for future improvement initiatives. It was envisaged that the new solution would be tablet/mobile compatible to allow out-of-office access. In the analysis stage, it was identified that it would be beneficial to customise the mobile app to be streamlined for specific activities conducted on-site. The need for flexibility was thus paramount in this project. Via an electronic form, the user logs all relevant details about their clients including contact details, address, and any other relevant information. Once they have their client information recorded in the system, they can then create scheduled maintenance templates for that client. Information such as frequency (e.g. monthly/quarterly) and duration of contract are included, which are then used to batch create the Work Orders for that maintenance contract. Work orders are either batch-created automatically via the maintenance scheduler module, or entered manually for ad-hoc jobs. The work order module is key in planning all maintenance operations. Users log in, and immediately see all relevant work orders assigned to them, and is role specific depending on whether that user is a technician conducting on-site maintenance work, or administration handling invoicing duties. VisualVault is a Software as a Services (SaaS) solution, requiring only a reliable internet connection for full use. This has meant that Delta has been able to reduce the time spent on hardware and software administration, and is able to focus on its core operation of scheduled and reactive maintenance services. The ability for the solution to be tablet and phone compatible has further increased efficiency within the organisation. Technicians can review maintenance tasks on the fly, providing real time access to up to date data. Our client is extremely happy with the VisualVault implementation. The enhanced ability to forward plan in detail on all maintenance activities is a key feature that has significantly improved efficiency in the organisation. The implementation has provided the client with scope for further improvement. A key advantage of VisualVault is its flexibility to mould to the businesses needs, and this has given Delta a multitude of opportunities for improvement initiatives. These include; automating the workflow of service orders, streamlining the mobile/tablet interface, and optimising data input for increased invoicing efficiency. We are information specialists based in Sydney, Autralia providing web-based Data Records Management & Automated Business Process Solutions. Get the A-T Quarterly Technology Update to stay connected with our recent projects, works & innovations.